Due to the busy schedule leading up to and during I/O, quite a few updates weren't given nearly the attention I like to commit to the process. I'm going to try to cover as much as possible in this and the next Update Notes, and hopefully get mostly caught up. Needless to say, there are some updates I wanted to fit into this post that didn't make it on time, especially thanks to some unusually late updates rolling out last night, but I'll try to get the next post out soon. This was a fairly substantial update, but it slipped out right in the middle of I/O and the announcement of upcoming YouTube Premium changes, so we didn't have time to cover it properly. Fortunately, most of what came in this round was really not "new" in the strictest sense, so we can hit each point pretty quickly. 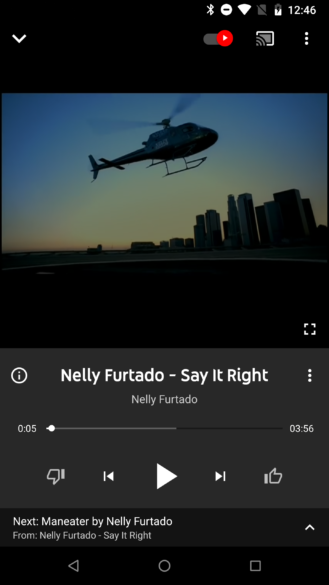 It was just about a week before this update rolled out that a user reported a new player screen had appeared in YouTube Music. It sported larger buttons for player controls, moved the track information for currently playing songs into a permanent bottom bar, and effectively gave more visibility to the video by hiding the queue under the track information with an expanding button. There was also a slightly revised layout for the player in landscape orientation. With the v2.31 update, these changes appear to become standard. We already know support for SD cards is planned, but it looks like this update may be taking the implementation much closer to a final state. Several new lines of text and entries into the settings page show that the option to turn on SD card usage is nearly ready. So far, there's still no sign of this going live on any of my phones. It's fairly safe to assume it would require a phone with an SD slot, and may also require a card be installed. I've tried using an installed card, but still no luck. Back in February, signs turned up that YouTube Music would be getting activity-based playlists similar to those we've seen in Google Play Music. The promise was that you would get different suggestions based on whether you were at the gym, driving, or whatever made sense. In the latest update, a permission request was added that will allow YouTube Music to identify if you're walking, running, biking, or driving. We see new labels for notification channels on a pretty regular basis, so it's no surprise when another one or two are likely to join the list. This is a little different, as seven new channel names suddenly popped into view on this update. Some of these may be a copy/paste from the main YouTube app, but most of them look like they could actually belong to YouTube Music. So far, none of these are appearing on my devices, so I'm going to assume none of them are live yet. As is common for the YouTube app, changes that come immediately after install are fairly rare, or at least they're usually just cosmetic adjustments. The latest update to v13.17.55 added support for the break reminders mentionned during Google I/O. However, the version coming immediately before that also had a hint of something many of us have been looking forward to for a while. The YouTube app is due to get a dark mode, and based on the web version, it should be coming very soon. While there's no mystery about anything besides when it's going to happen, it's worth pointing out that v13.17.53 added a toggle to the settings screen to enable or disable dark mode. It's obviously not live yet, or at least not for me or anybody I've spoken with. But at least with this addition, it's just that much closer to happening. The latest YouTube update isn't looking all that different from any previous versions, but it does have a few clues about upcoming (or possibly current) changes that raise the eyebrow a bit. There's nothing too helpful to look at yet, but there are references to a new "SmartRemote" feature, including a developer option to enable it. Right now, the layout that will contain it is effectively empty, so it looks like this is basically just a tease at the moment, but it's interesting to see YouTube working on a new remote control interface of any kind. 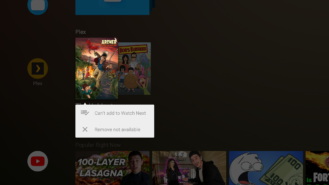 There are also new lines that show YouTube can now (or sometime soon) recover from unexpected crashes and offer to resume playback on the video you were last watching. I know, this one is a month old, but I forgot to include it in the last Update Notes. 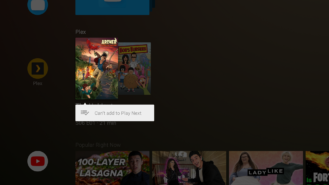 There are obviously some new things coming to Android TV in the coming months, but most of them won't really apply to anybody that doesn't get an update to Android 8.0 or above. At present, this includes the now unsupported Nexus Player, the Xiaomi Mi Box, a few Sony Bravia televisions, and some set top boxes from an assortment of cable TV operators. If you happen to be one of the lucky Android TV users with the latest launcher, there is one small fix worth noting: The long-press menu no longer shows the "Remove" action if it's not actually supposed to be available. This command would be used to take a video or song out of your watch later playlist. In previous versions, if the song or video wasn't in that playlist, the option would still be visible, but labeled "not available" as an explanation of why it was grayed out. There's no specific version attached to this one, it's just a feature provided by the server. We've left behind the days where an app contains everything you'll need. There are now libraries and plugins that may not always be preinstalled on a device. The most prominent example is ARCore, which is progressively becoming available to an expanding collection of recent flagship devices. 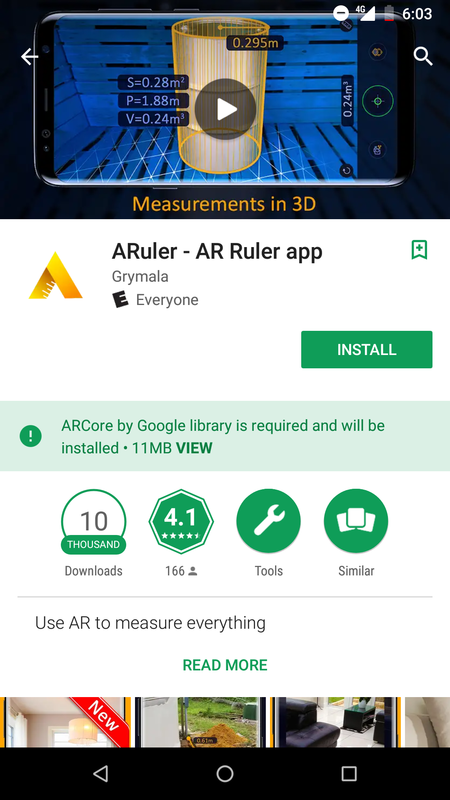 If you decide to install an app that requires ARCore, but don't already have the base library, the Play Store will show the message above to inform you that both APKs will be installed. We're not entirely sure how long this message has been there, but the going assumption is that it may have been around since the launch of ARCore v1.0. It could have easily predated that, or it may have been added very recently. A developer page does explain that apps marking ARCore as optional will not auto-install the APK, but marking it as required will. We haven't seen any clear sign that third-party developers are able to mark library APKs for installation. Despite a bump to the major version number, the Google Play Store doesn't appear to have any notable changes in the UI or within the APK resources, but there is one meta-level change that's certainly notable. We've been seeing a lot of apps in the last couple of months making the move to drop a version or two of Android. While a couple of them have made slightly aggressive moves, such as abandoning the whole of Jelly Bean like Photos did, most are giving up on Ice Cream Sandwich. The Play Store is now joining that club. As of version 10.0, the Play Store's minimum supported version of Android is Jelly Bean, API 16. As a reminder, this change doesn't mean old versions of the Play Store will stop working, or that those phones can no longer download apps. It only means that new versions of the Play Store will not make their way to devices on Android 4.0 or earlier. If you reset an old device running Android 4.0, it will update to the Play Store v9.9. 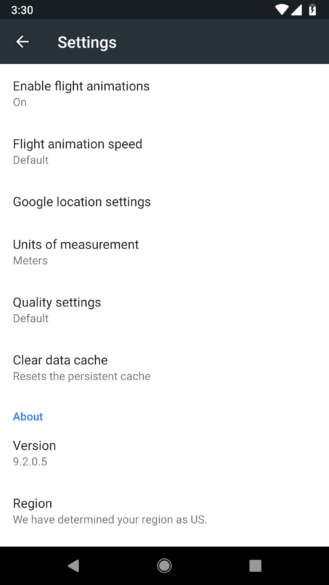 Jumping from v9.2.0 to v9.2.15, not much was expected from this update, but the move wasn't completely without changes. Of course, with an app like Google Earth, it's entirely likely other things were done that just didn't turn up in our look through. The settings screen got a little more organized with a few new section headers. Technically, there was already one titled About, but now there are more. 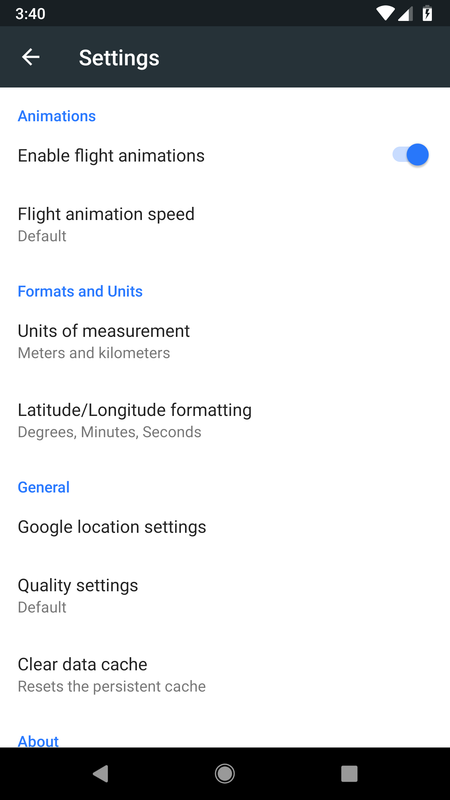 The setting for flight animations has also been converted from a pop-up dialog box with On / Off options to a proper switch control. 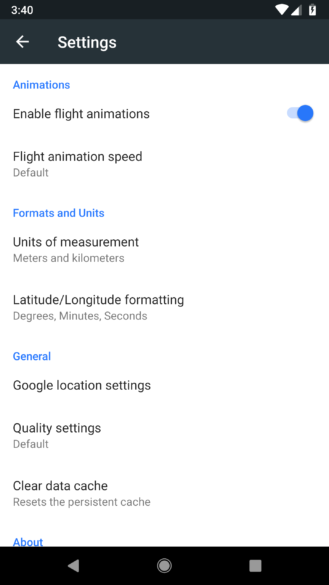 But this wasn't just a cosmetic change, users are gaining a new option to adjust the format for their latitude and longitude readings. They can now be displayed in either Decimal or Degrees, Minutes, Seconds. 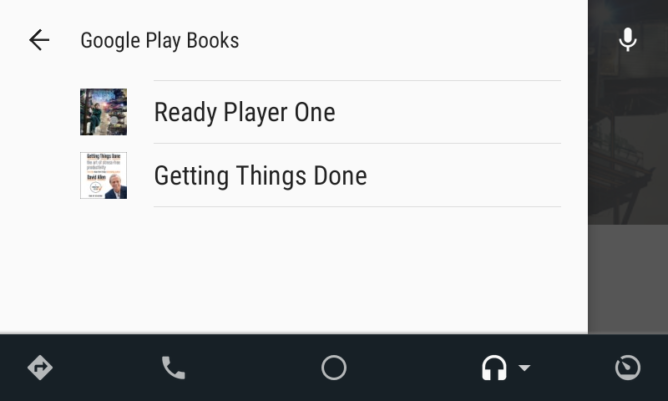 The latest Play Books update appears to be devoid of any notable surface-level changes, but there are a few strings suggesting improvements are coming to the Android Auto interface that launched just a few months ago. Audiobooks are still fairly new to Play Books, so you might not have a large collection right out of the gate. If you were to check the menu button right now, you'll see just a list of the audiobooks available to you, sorted in decreasing order by how recently they were played. That's probably fine for now, but it won't be a good long-term solution. Perhaps the next time you wrap up one audiobook, you'll see both a Recents category, which will likely contain the current list, and also a Recommendations category with suggestions for your next listening experience. At least that's what a pair of new strings would seem to suggest. For reference, this is all you're going to see right now if you hit the menu button on Play Books. The upcoming organization will likely match that of Play Music.